Part of the Tulemar Resort, Tule Villa is a private bungalow made for luxury! The Tule Villa vacation rental is The Tulemar Resort’s newest designer addition and one you don’t want to miss! 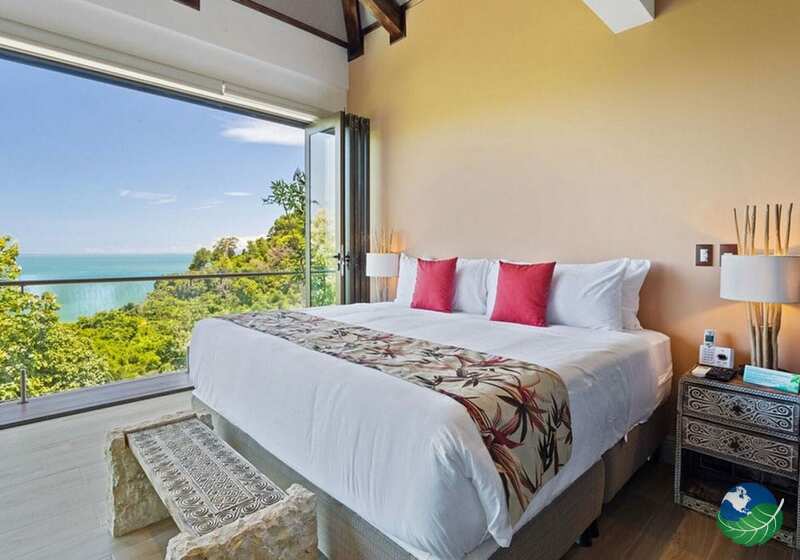 This 2,500 square foot villa sleep up to 9 guests in the heart of the Manuel Antonio National Park. 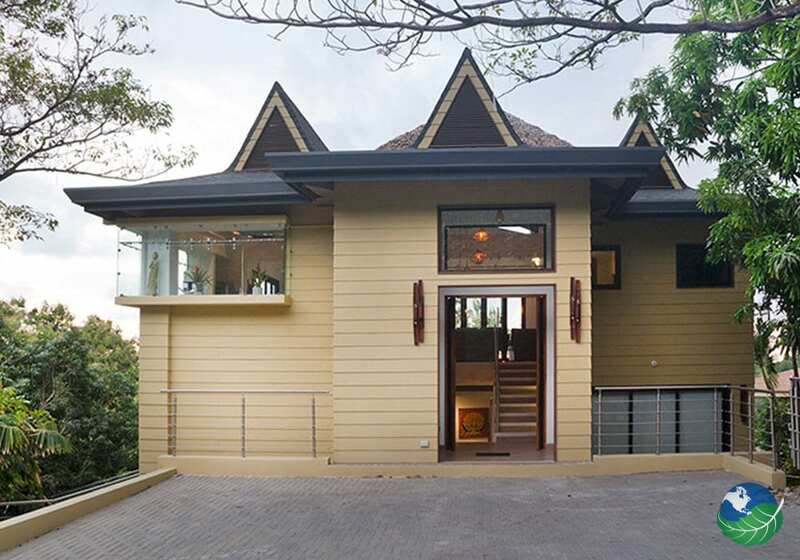 Bring your entire family to explore the infamous national park and stay in one of the most coveted rental villas in Costa Rica. 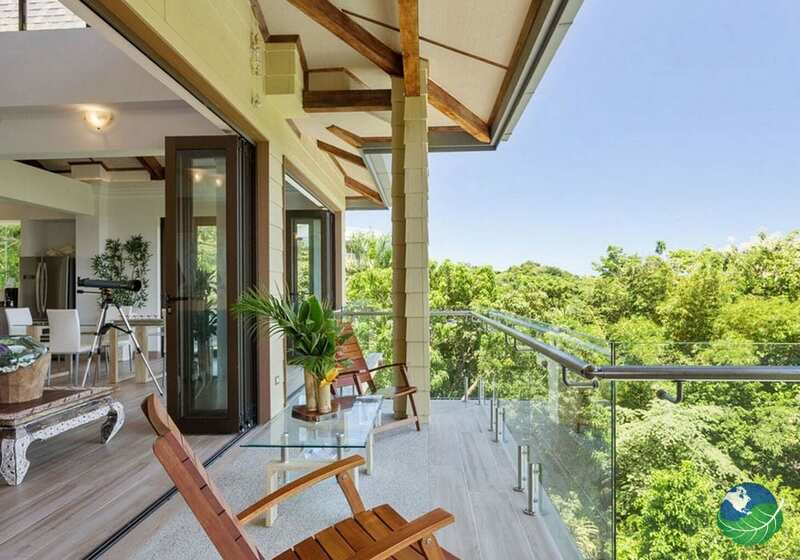 You’ll be able to overlook the ocean and jungle while you sip fresh coffee, cook a traditional Costa Rican meal with the freshest ingredients in the fully-equipped kitchen and float your cares away in the elegant infinity pool. 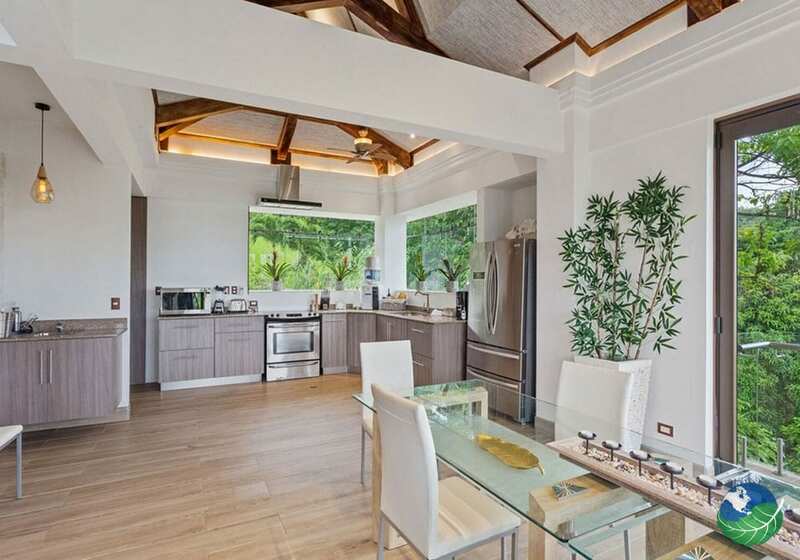 The Tule Villa is made up of two levels, four bedrooms, four deluxe full bathrooms and two half-baths. 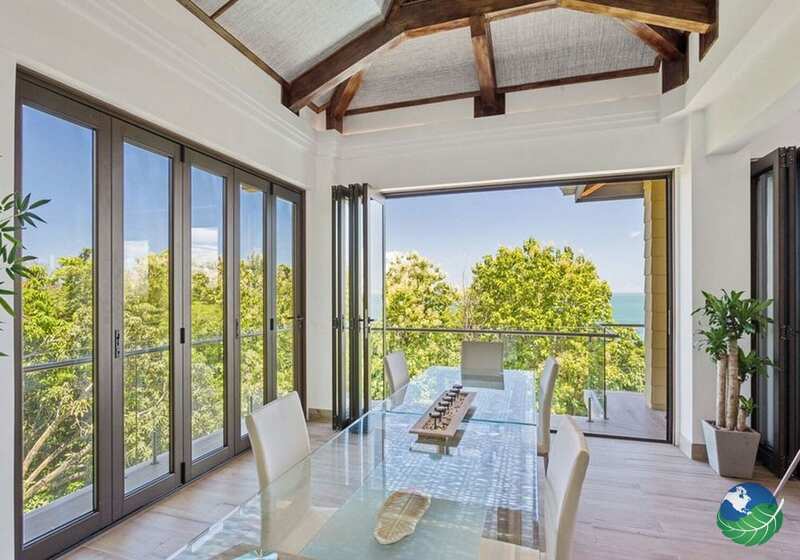 There is also a fully-equipped kitchen, ample living space and a private balcony with ocean and jungle views. You’ll also enjoy a private pool, open-air eating and social areas. 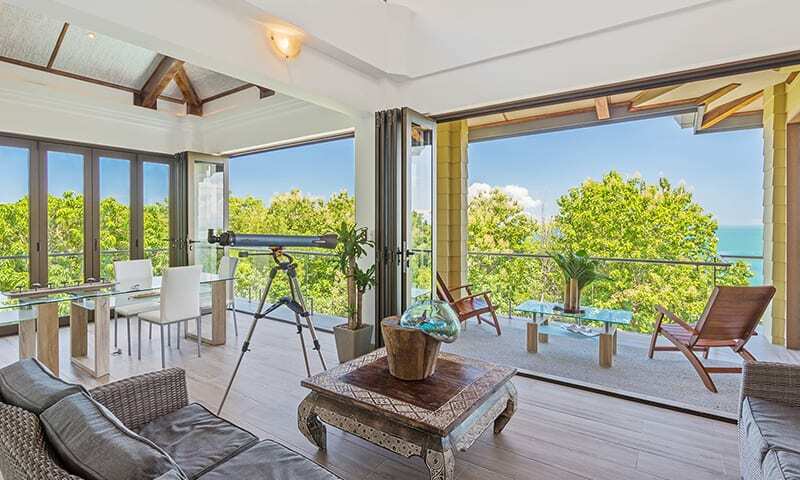 The Tule Villa property’s modern design and unbeatable views will make you feel at home in the jungle. You may never want to leave! Other amenities include modern appliances (including refrigerator, microwave, electric stove and washer & dryer), television, wifi, air-conditioning and water purification dispenser. The Villa is also offers handicap accessibility and daily maid service. 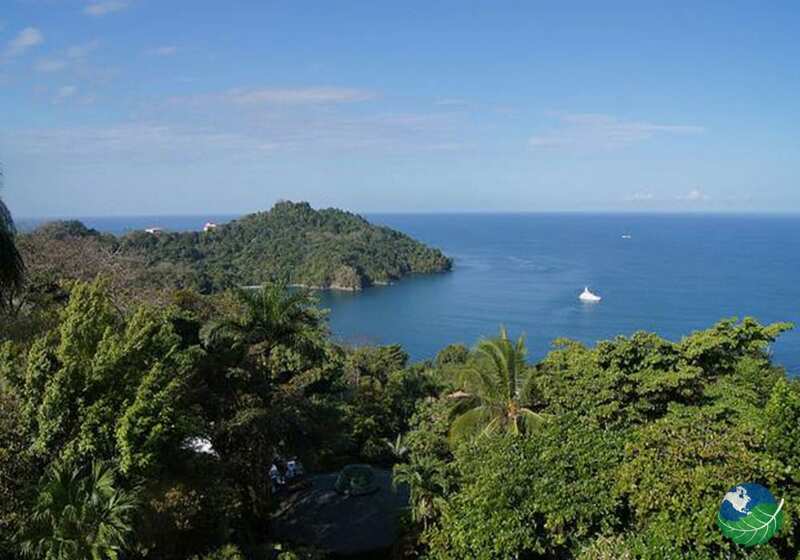 Get the most of the Manuel Antonio attractions during your stay at Tule Villa. In the National Park you can hike alongside certified guides and spot monkeys, sloths, iguanas and more on a Wildlife Tour. More adventurous travelers will enjoy a Canopy Tour. See Manuel Antonio National Park from above on some of the best zip lines in the world with certified bilingual guides. Once you’ve explored the jungle, check any of the five gorgeous beaches: Playa Espadilla, Playa Manuel Antonio, Playa Gemelas, Puerto Escondido and Playa Biesanz. The Manuel Antonio beaches are ideal for swimming, surfing, snorkeling, catamaran tours, parasailing and scuba diving! Manuel Antonio. Favorite. Family Friendly, Rentals Pool, Facilities For Disabled. A/C, TV, Internet access / Wi Fi, Safe Box, Private Balcony / Terrace, Mini Bar / Fridge, Coffee Maker, Microwave Oven. Laundry Service.